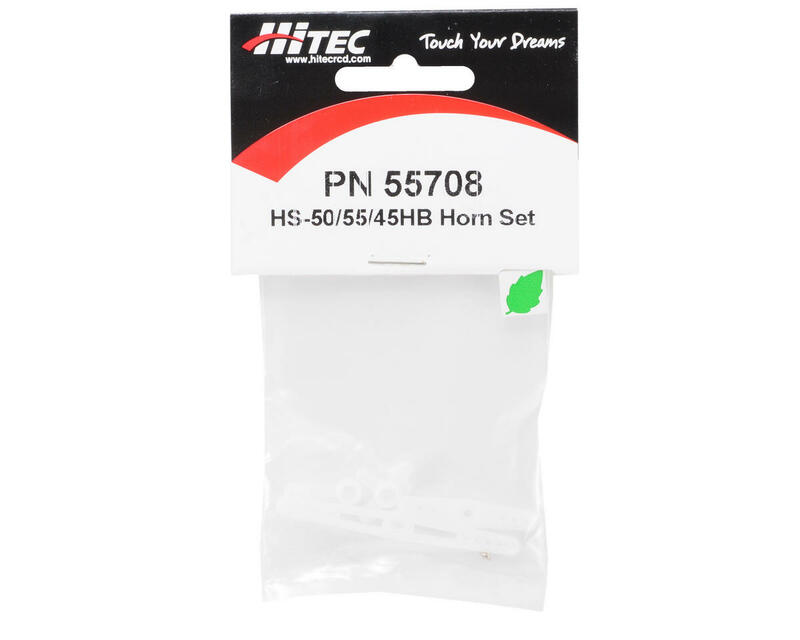 This is the replacement HS-50/HS-55/HS-5055MG servo horn set from Hitec. 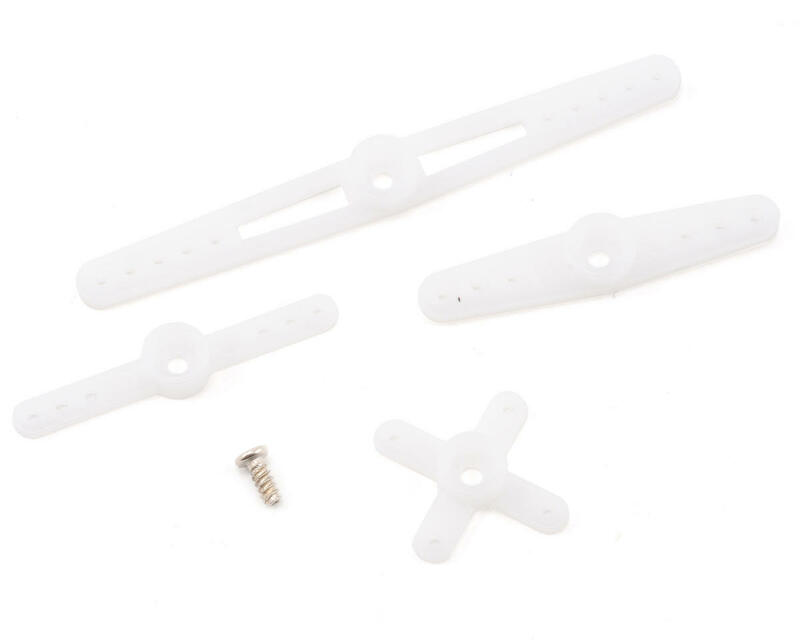 This set contains one star shaped horn (17mm), one short (28mm), one medium (31mm) servo arm and one long (50mm) servo arm. Set also includes mounting screw to mount servo horn to servo.